This is why the sony Sonic movie should be done in full CG, also this reminds me how much I love Ryan Drummond for Sonic, he was perfect. I miss him….. I was honestly thinking the exact opposite. The updated visuals really make the voice acting feel out of place. In his defence, the audio from SA2 was pretty poor. Having said that, Ryan Drummond is my least favourite portrayal of Sonic. Funny thing is I also think the exact opposite of this. I actually thought the video made their lines somehow sound better than in the original games. I mean a voice is a voice is a voice. But the lines going with more visual expression seem to give the lines themselves more expression and context. As well as the better-timed editing. They sound just a little bit more like they’re actually talking to each other. It could still use improvement, as I believe they recorded out of context and we know they recorded alone, but at least I can picture them fitting the characters even in non-Adventure designs. That’s just me though. To each their own. SO WOULD I!!! Me want!!! Oddly, this video was, for me, the exact reason why I don’t care if Sonic is done in CGI or Live Action as both characters and environment are CGI, thus working in CGI obviously, but the environment is meant to look like a realistic environment which could easily be live action. I tell them if the sound leveling wasnt so bad in the game and the lip sync matched better they would see the voice acting is actually good. It just appears to be cheesy because of the game not the acting. This is so awesome, great animation! Agreed! Nostalgia+Modern technology = fangasm. Wow, that was really good! I honestly love the expression used. Words fail me on how awesome that was. I agree with TheDanimator, SA2 dialouge/ voice acting wasn’t the problem, it was the animation that was off. I hope Sonic cutscenes can reach this level one day. Way to go Hypo! Yeah cause I never thought Ryan and co did a bad job but this clip makes the Voice work seem even better. its like you could do good voice acting but then the animation doesn’t match the performance making it come off alright. The good old days…. sad to see their long gone for me. Maybe Sonic Team should create its cutscenes with Source Filmmaker. Well to be honest this is the perfect animation of Sonic Adventure 2 by source fimmaker no cheseey mouth for Sonic & Shadow! Wow this is so good! I was just thinking the other day that I would love to see a sonic adventure 2 remake! The animation was pretty good. Nothing spectacular, but good. That audio on the other hand… ouch. I can’t believe people prefer Ryan Drummond and Jason Humphrey to Jason Griffith. I thought the animation was pretty spectacular myself. And Jason had more modern scripting and 50x more experience with sonic, so it’s not really a fair comparison. I mean…if you were given over 50 20 minute episodes to prepare for your game roles…you’d probably be great too..I think Drummond & Humphrey are better voices with worse scripts, production value, & preparation. And I can believe it. I like all the voices but Sonic has a slightly less repetitive inflection in his expression as Ryan Drummond. Though it is higher pitch and nasally. Shadow, on the other hand… I liked Griffith as Shadow in certain things as a totally different style. Oddly, this consists of 06 and Black Knight (as Lancelot) but I do think Humphrey was a more unique and fitting Shadow. He made him sound youthful, calm, smart and sly rather than simply bruting and grumpy. Trust me only the fanbase liked Jason, outside the fanbase Jason was considered awful/annoying, atleast Ryan was considered listenable from the non-sonic fans. That is quite impressive, indeed. The new Sonic movie should take this concept. What? Using non-professionally-top notch textures and lighting with what looks like really good but video game environments to reimagine specific cutscenes from specific older 3D games? As opposed to likely professionally top notch textures and lighting with CGI and live action environments to imagine original scenes that may be decent if not more or less? 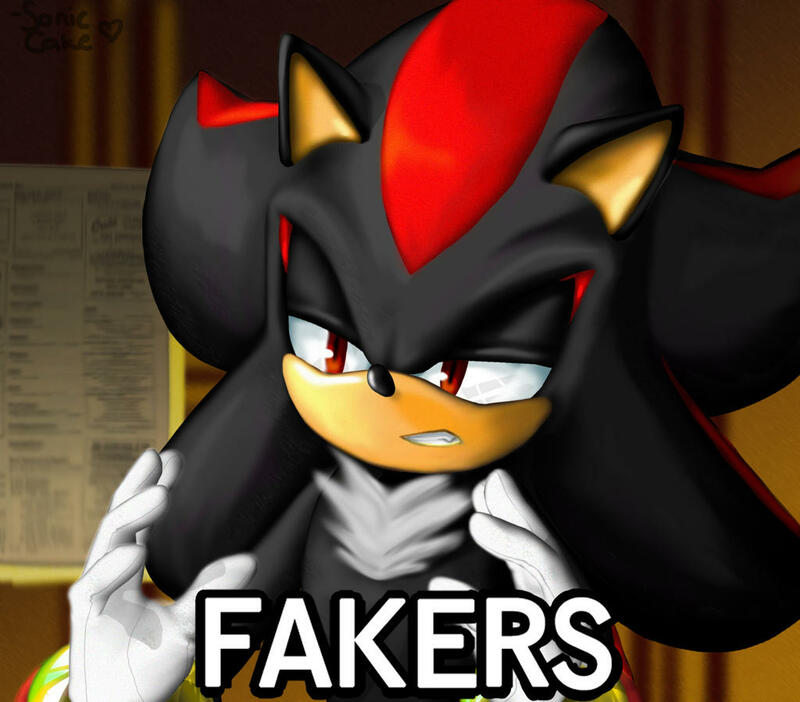 inb4″BetterthanSonicBoom”….if only because I wanna say it myself. Now that I highlighted that, I’m astounded by the power of Source Filmmaker. I wondered if he used the actual game assets from recent Sonic games or if he made the models himself? They are very good. I never liked Ryan Drummond’s whitebread version of Sonic, but David Humphrie is the perfect Shadow and this film amplified both their performances to awesome-ness! This just shows that with good sound editing and great animation, even the cringe-worthy dialogue of SA2 can be great! Shame we won’t get that from Boom…or the movie. I honestly don’t know what your talking about, I think that sonic boom’s animation is simply beautiful in the new trailers. Ryan and Roger are my favorite voice actors for Sonic, preferences explain a lot about an individual. This is brilliant work; definitely portrays the cast in a better light. I love my fandom. This is so pretty – really good facial expressions and body language! And the action is pretty swell, too (hehe, sonic eating dirt…). Man, I miss this reincarnation of Sonic so much. <3 Thanks for sharing! Never liked SA2 but this re-iteration is so great on so many levels. Even the battle stayed true to the (clunky) boss fight, and he made it epic as hell! Kudos, Hypo. You really did deserve the Saxxy. My god this gives me the goosebumps! This blew out that fan made Sonic movie by miles! Wow! Not bad! I wish the rest of the cut scenes cut be reanimated like that. Neat!! Really awesome animation!! This is when I’m proud of calling myself a Sonic fan, when I see great fan work in the form of games, fanart, mods, flash animations or in this case game-production level animations, congratulations Hypo! And thank you! This was so good. One of the easiest videos to favorite on YouTube, and I haven’t favorited any videos in like a year and a half. I’d pay a lot of money to have an HD remake of SA2B if it looked like this.